First place, short fiction award in the national First Coast Writers' Festival Contest for his story "Catch"
Gold Star Award from the District Board of Trustees of Florida Community College at Jacksonville for A College Tells Its Story. This college, one of the largest community colleges in the nation, is now called Florida State College at Jacksonville. 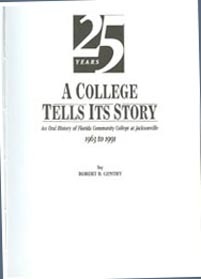 A College Tells Its Story, the first oral history of a U.S. educational institution and its people in book form. Insights Into Love and Freedom. 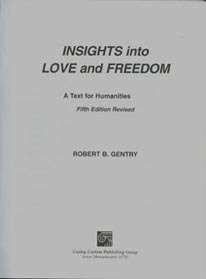 Contains stories, articles, poems, visual art, music, and documents on love and freedom. 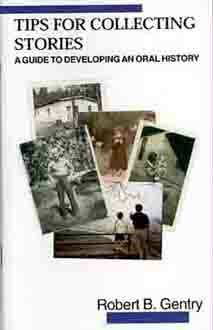 Provides insight into romantic love, parental love, patriotism, and love/freedom as one spiritual ideal. Examines major obstacles to love and freedom. The Sixth Edition of this text is now available. 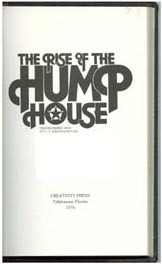 Contact: Copley Publishing Co., 138 Great Road, Acton, MA 01720. Publication of the book's new cover here is forthcoming. UPDATE: The history work described below can now be accessed online through the University of Florida's Oral History Collection. Google A College Tells Its Story. 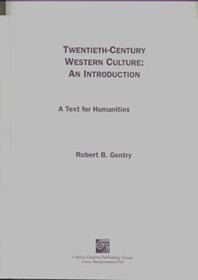 People looking to do a memoir or an oral history project, using stories and memoirs, will find valuable information in Gentry's Tips for Collecting Stories: a Guide to Developing an Oral History.